Palestinian president Mahmud Abbas on Sunday again vowed to oppose any peace proposal by US President Donald Trump as PLO officials met to consider their next moves. Speaking at the opening of a rare meeting of the Palestinian Liberation Organization's central council, Abbas said Palestinians were facing perhaps the "most dangerous stage" in their history, highlighting a series of controversial measures taken by Trump including recognising Jerusalem as Israel's capital. Abbas has boycotted Trump's administration since that December decision, though the US president's team is still expected to release a peace plan in the coming months. The US has also cut hundreds of millions of dollars in aid for Palestinians, with Trump angered by Abbas's refusal to meet with him or members of his administration. He has called on Abbas to negotiate, but Palestinian leaders say they are being blackmailed to accept Trump's terms, which they see as blatantly biased in favour of Israel. "They are still talking about the deal of the era, and that they will present it after a month or two," Abbas added, saying Trump's actions amounted to imposing a deal unilaterally. Israel brands the payments for families of those who have carried out anti-Israel attacks as encouraging "terrorism", and the United States has also criticised them. Palestinians see those jailed or killed while carrying out attacks as fighting Israel's ongoing occupation. 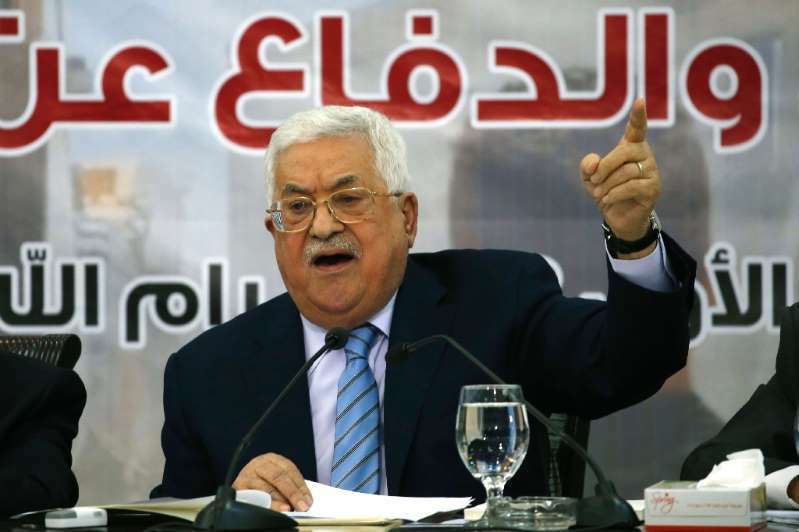 "The salaries of our martyrs and prisoners are a red line," Abbas said.